If there’s one thing that’s hard to fake in this biz we call auto, it’s craftsmanship. Crappy cars can brand an automaker with a bad reputation that can linger for decades. FCA will have a hard time shaking its recent bad press, but there may be a light at the end of the tunnel. Brands like Fiat, Jeep, Dodge and Chrysler scored below industry average in the 2017 J.D. Power Initial Quality Study—but Ram did well! It tied with Ford for the fourth-best rank. 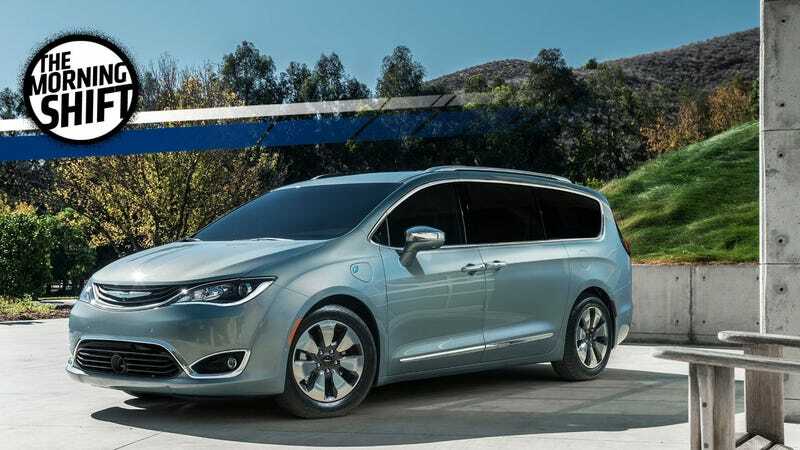 And the new Chrysler Pacifica was the highest ranked minivan! The improvements came because of a top-down quality initiative, which includes additional meetings with employees and even more testing, according to Automotive News. Cool! Will you let me know when you turn your sights on the Giulia? The SUV-craze in the United States hasn’t done companies like Honda any favors, which rely on sedans and passenger car sales to make a profit. Thankfully, though, other countries haven’t crossed over so far to the dark side. Operating profit in Asia expanded 8.3 percent to 97.83 billion yen ($870.8 million), while sales climbed 15 percent to 523,000 vehicles in the quarter, making Asia Honda’s biggest market. One of the things Honda is doing to try to deal with stale sales here in the U.S. is fully redesigning the Accord for 2018 by offering it as a manual fastback. Will this work? Guess we’ll have to wait and see. The road to autonomy won’t be an easy one. A large part of the struggle for automakers will be ensuring that the technology is easy to use and consumers actually know what they’re doing. Bosch has a plan for this, writes Automotive News. That plan is: show, don’t tell. Most people still don’t trust autonomous tech, and the best way to get around their trepidation is to educate them on how it works so they understand its capabilities better. Companies like Bosch can only do so much at expos and seminars. The rest of the educating has to come from the front lines: car dealerships. Of course, this means educating the dealerships about autonomous driving tech so they can pass on the knowledge. You know what they say: you’ll know you truly understand something when you can teach it to someone else. Volvo-owner Geely’s whoo whee future-y brand Lynk & Co, which showed some truly bonkers concepts, wants to make a “smartphones on wheels” and perhaps won’t do model years, has one glaring issue. Lynk & Co. Say it three times fast. What does it sound like? Heh. Ford sure thinks so, too, according to Automotive News Europe. It’s challenging Geely’s U.S. trademark application for the new brand, saying that the name sounds way too close to Lincoln Motor Co.
Geely has until Nov. 15 to file its opposition—a extension granted by the U.S. Patent and Trademark Office. Lynk & Co did not respond to AN’s request for comment. 5th Gear: Wait, So—Ferrari SUV Or No SUV? In February 2016, when confronted with the question of a demand-boosting SUV, Ferrari boss Sergio Marchionne said, “You have to shoot me first.” Fightin’ words! But now, a year and a half later, Ferrari is supposedly considering adding an SUV to its lineup. I feel like I have whiplash. Among projects being evaluated is a four-seat family car that offers more space than Ferrari’s current two-door GTC4Lusso. The model is internally dubbed the “Ferrari utility vehicle,” following Marchionne’s previous objections to developing an SUV. The big Ferrari would be targeted at Asian customers, particularly in China, and may alone contribute 2,000 vehicles to annual deliveries, the people said. No solid plans have been made yet. But, whoa: Ferrari SUV? Will it run on purist tears? Neutral: How much does quality matter to you? Take the Alfa Romeo Giulia for example. The public anticipation and love for that thing was unreal. But as we’ve seen from multiple outlets (this one included), it’s horrifically unreliable. Would something objective like poor quality deter you from buying subjectively?